Do you remember that cool demo that Mark Zuckerberg showed at Oculus Connect, where Mark was interacting with his friends and co-workers in VR? Well it’s now here, in beta! 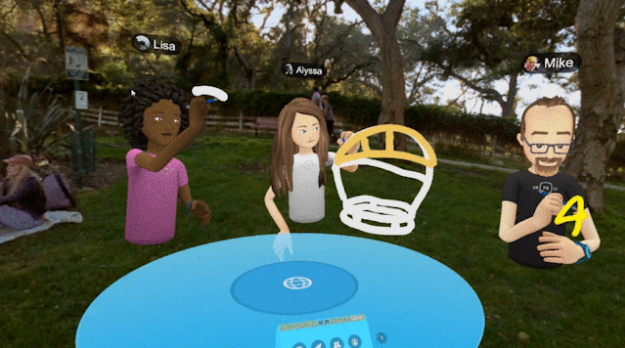 It’s called Facebook Spaces and is available for Oculus Rift and Touch. (It also works on HTC Vive via Revive). Update: I’ve tried it — see below for my impressions. Here is the official announcement. I will give it a shot later! Update: Facebook Spaces can work with HTC Vive via Revive. Facebook also told UploadVR that they don’t intend to make it an Oculus-exclusive app. I’ve tried Spaces on my Rift and it generally works as advertised. One of the things I tried was putting myself in a 360 video. The process is pretty simple. You just tap on media, select timeline (or saved videos), then select the video, which will appear as a sphere. When you put the sphere in the middle of the table, it will load around you. I was able to take a selfie in the middle of a 360 video (you might recognize the video as a scene from a Vuze video I took recently). My only comment is that it’s still quite buggy, which is expected for beta software. The first time I ran it, I got stuck because it was asking me to pick a photo but there was none to choose from. The photos showed up the second time. I also experienced judder on my cheapo $400 VR-capable PC while using Facebook Space to chat with my wife (she was using her phone’s camera). I am supposing that’s something that will eventually be fixed. And sometimes, when I loaded a 360 video, the video appeared disjointed around me. Finally, when I was taking my selfie in the 360 video, Spaces crashed (on my cheap PC). I think Spaces has a lot of potential to get people interested in VR who would otherwise not care about it. It allows a level of interaction that feels more realistic than just a video chat. I think Spaces will also have an impact on the 360 camera industry. 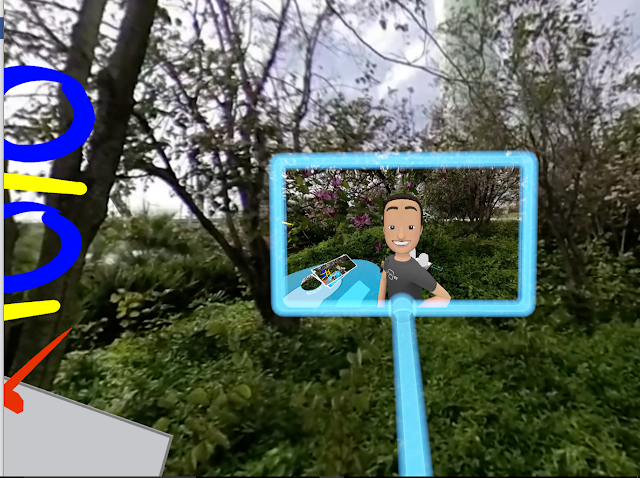 360 photos and videos will become highly relevant to those who use Spaces. But the question is how quickly Spaces will catch on. The fact that you need a Rift or Vive to use it limits the audience but at least you can contact people on their smartphones (they don’t need to be on the Rift or Vive). 360-degree screen recording for VR games with Facebook’s 360 Capture SDK!